mindless mumbai was featured in daily news & analysis, an indian national daily on 18th aug, 2010. if you've been in touch with me on my facebook page you may know of this already. if not, i was to blog about this a while ago, but was caught up with jury work. so here it is now. and since a couple of people have asked me - someone from the DNA team must have stumbled upon mindless mumbai; i did not contact them. they sent me an email the previous evening saying that they'd be featuring it. 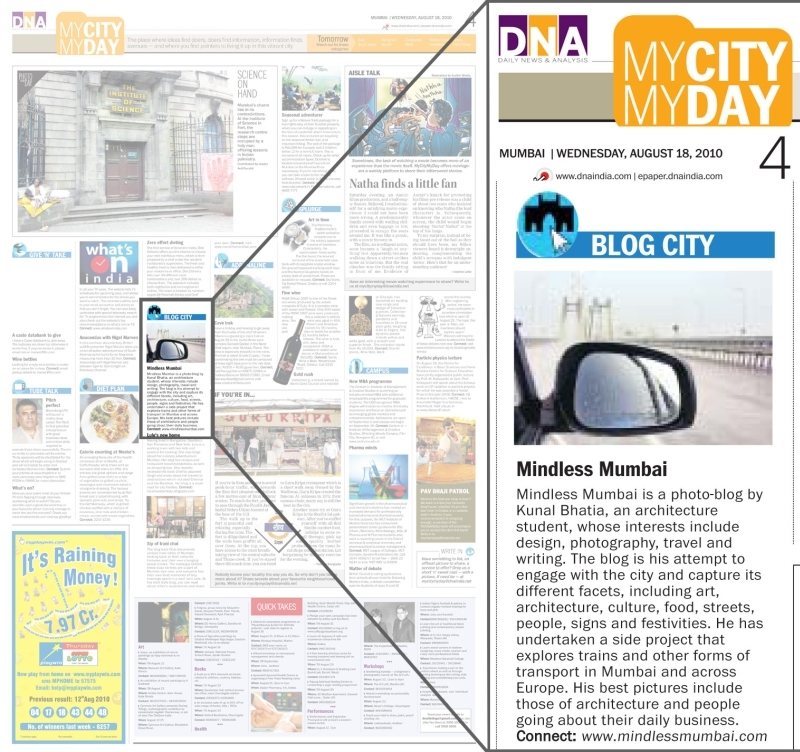 the column in which it appears is a weekly column that lists blogs related to mumbai. it comes every wednesday on page 4 of the main supplement. i hope your photoblog will be featured more. CONGRATS ,may the tribe of photo bloggers grow.